Norway's Tallest Ice-Cream Cone That Will Blow Your Mind. Norway’s Tallest Ice-Cream Cone That Will Blow Your Mind. Which tallest ice-cream cone did you eat lately? Maybe a cornetto or a biscuit cone. It is very surprising to know that an ice-cream making company in Norway has set a Guinness World Record. 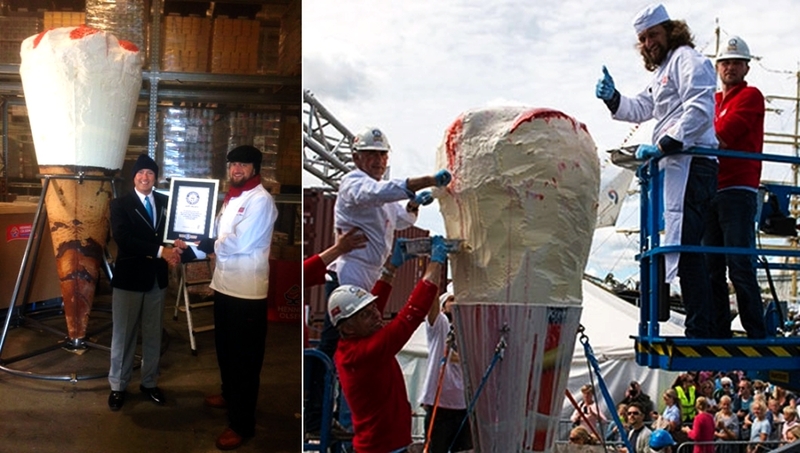 They set this record by making the tallest ice-cream cone in the world. Henning-Olsen Is AS and Trond L Wøien has set this extraordinary record on 26 July 2015. How long is the tallest ice-cream cone and what does it consist? The most noteworthy feature of the tallest ice- cream cone is that it measures 3.08m in height. It consists of wafer cone (95.85kg), Chocolate lining (60 kg), ice-cream (1080 l), waffle biscuit (110 kg) and jam (40kg) from the factory freezer. The popular Norway family claims that the tallest ice-cream cone is enough for 10,800 people to have two scoops each. 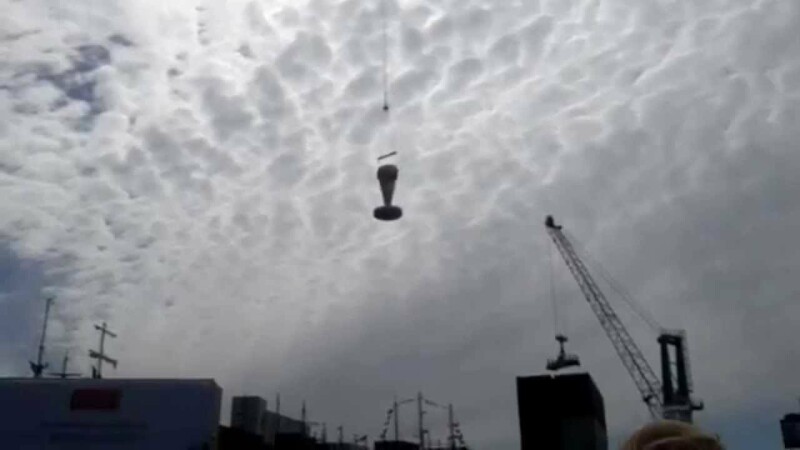 The helicopter was used to airlift the tallest ice-cream cone. The makers used a helicopter to airlift the giant cone. It was transported to the event in Kristiansand in Southern Norway. Here, the adjudicator of the Guinness World Records was present to verify the attempt. The record manager said that the Guinness World Record is the highest recognition anyone can have They are very happy to fulfill the requirement to achieve the goal. After the success of the event, Paal Hanning-Olsen, the third generation of the family to run the ice-cream business said that Norway is full of ice-cream lovers. They served thousands of portions of ice-cream to them. He finds it fantastic and extremely special to share such a massive ice-cream moment with everyone present there. This popular family in Norway broke the previous set Guinness World Record of the tallest ice-cream cone of 2.81m. Micro Della Vecchia and Andrea Andrighetti both from Italy, set the record in 2011. Read also – Ever heard about the Ice Cream Museum? I am pursuing law student and love to write poetries and articles. Writing has a very aesthetic and positive influence in my life. I keep myself vivacious by writing and try to deal with the monotonous world. Engagement Rings : Are they about love or more?